Engin Akyürek will be on TV with a new Turkish drama To Death (Ölene Kadar). The producer of the drama is Tims Production, the director is Umur Turagay, and the screen writer is Elif Usman Ergüden. The cast consists of Engin Akyürek, Fahriye Evcen, Sarp Levendoğlu, Gülcan Arslan, Ragıp Savaş and Tansu Biçer. The first trailer has been aired with a tag line: Either hope or conscience kills the man in this life. This Turkish drama will start to be aired in January 2017 by the Turkish broadcasting network ATV. Storyline: Dağhan (Engin Akyürek) is a doctor who tries to get his proficiency however, finds himself in jail. He loses his hope, his future, his lover and the most beautiful days of his lives due the crime that he has never committed. He is sentenced to life imprisonment. Selvi (Fahriye Evcen) is an ambitious lawyer who had a heart transplant when she was a child. She tries to save Dağhan from the life imprisonment. Destinies of these two different persons coincide. Justice system creates a criminal from an innocent man. There must be a cost for these lost years and injustice. The latest drama olene kadar should also be aired in English so those who don’t know turkish language can also see. Can you have the English caption on the new TV series Engin Akyurek? I think, Engin Akyürek is a very successful actor. But, I cannot say the same thing for Fahriye Evcen. She always tries to seem to be beautiful on screen and for this reason, she does not seem to be natural. I started to watch this Turkish drama for Engin Akyürek but I could not continue watching it due to Fahriye Evcen. Fahriye is a beautiful woman, she plays very well better than Tuba. Engin and Fahriye showed a wonderful love based on the sacrifice, not continuous kissing as in the KPA. 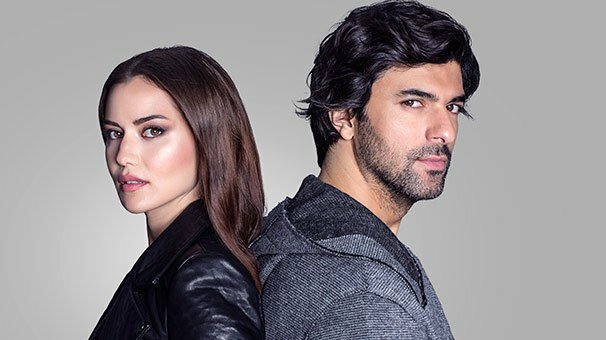 Although it has been almost 4 months since the last episode I’m still angry that the Turkish audience did not appreciate this show.I hope Fahriye will play again with Engin. I am new to Turkish series. My first was Fatmagulun Sucu Ne. Followed by Kara Para Ask. Now just finished Olene Kadar… was left speechless. Amazing show, left me dumbfounded for a few days… Engin Akyurek is indeed a spectacular actor. The turkish writers director are the best to how to capture the emotions and tell the story best ever i seen alot of turkish series and this one also a spechless whole series is best but the last seen in selvi says daghan and craying is no words to explain i love salvi is ther any person to canve my message to salvi its kind request please tell her i am maddley love her its my number 03115706884 please any one i want talk salvi love you….